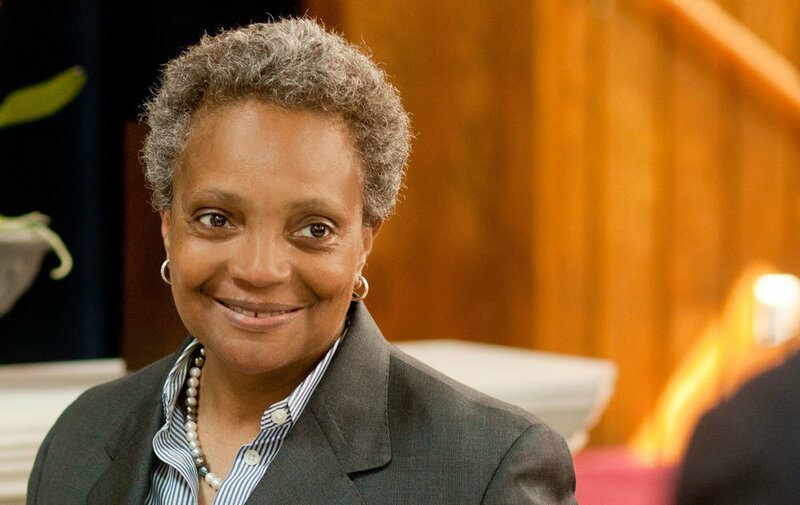 The day after Chicago Mayor-elect Lori Lightfoot became the frst black woman to lead America’s third largest city, Lightfoot addressed head-on her view of the city “most pernicious problems: entrenched segregation, gun violence and economic inequality” writes NPR. Lori Lightfoot joins 12 other African-American women who are governing some of the largest US cities. They include Acquanetta Warren, Fontana, Ca; Catherine Pugh, Baltimore; Deborah Robertson, Rialto, Ca; Keisha Lance Bottoms, Atlanta, Ga; LaToya Cantrell, New Orleans; London N. Breed, San Francisco; Lovely A. Warren, Rochester, NY; Muriel Bowser, Washington DC; Sharon Weston Broome, Baton Rouge, La; Toni N. Harp, New Haven, Conn; Vi Alexander Lyles, Charlotte, NC.